Click the blue Publish button at the top of the customizer menu. 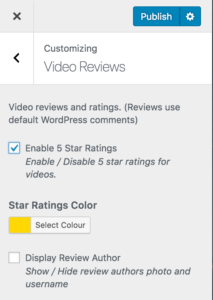 Edit the video you do not see the reviews on in your admin dashboard. 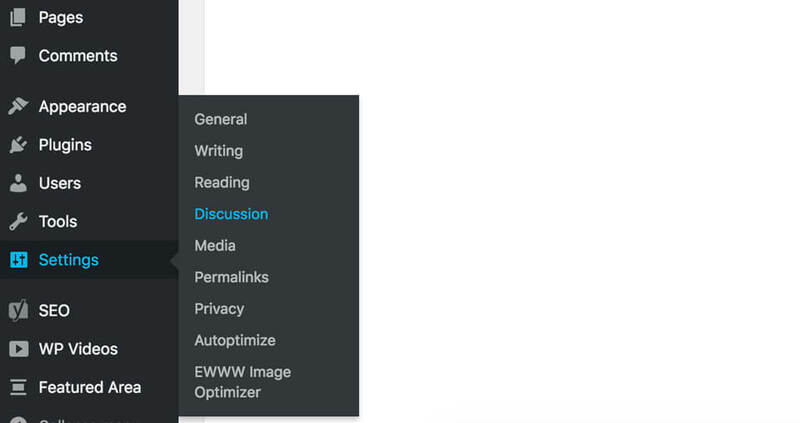 Check to make sure the Discussions setting has the Allow Comments checkbox, checked. If all of your videos have comments disabled, you can use the Bulk Editing tool on the Videos page to update the Allow Comments setting for multiple videos at once. Find the Comments setting, and change it to Allow. Click the blue Update button in the bottom right corner. 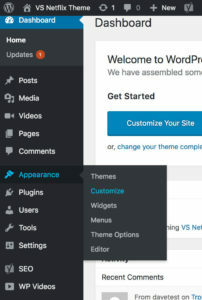 By default, WordPress is setup with Allow Comments enabled. Therefore, you should only have to do the following, if the default discussion settings have been adjusted. This is an optional step, and should only be done if you would like all new videos, pages and posts on your website to automatically get created with the Allow Comments setting to be enabled.